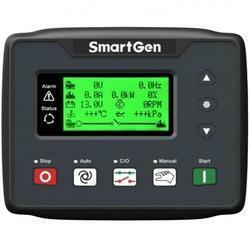 Pioneers in the industry, we offer genset controller from India. The Genset Controller offered by us is manufactured in compliance with International quality standards using best quality raw materials and advanced technology. It is used in automatic control systems of generators. It features automatic start/stop, data measuring and automatic alarm. Customers are reasonably charged for these controllers. 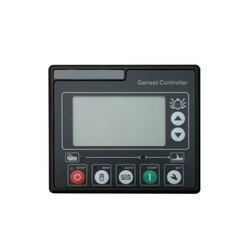 With its TFT screen to display information and feather touch control panel, this Genset Controller is considered to be one of the finest that are available in the market. For the purpose of providing the finest to our clients, we engage in using the finest materials and sophisticated technology in its manufacture. Used for the purpose of controlling the functioning of motors, this controller is highly demanded.